Holy moly. Halloween is over, Thanksgiving is near, and Christmas is right around the corner. It’s been a whirlwind of a month over here with what seems like a thousand Halloween celebrations and a pretty major trip to Disney World. We are incredibly blessed to be able to travel as a family and provide for our children, they don’t go without very often. I have had this idea of a month of gratitude in the back of my mind for a while now, but with all of the ‘stuff’ my children have received or experienced over the last couple of weeks the idea has been solidified…chiseled in stone. 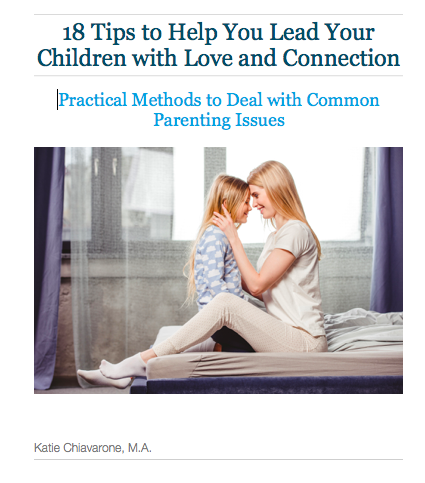 I want to give my kids the world, but I also want to help them appreciate what they have, and the people in their lives. Throughout the month, we will do an act of gratitude a day. 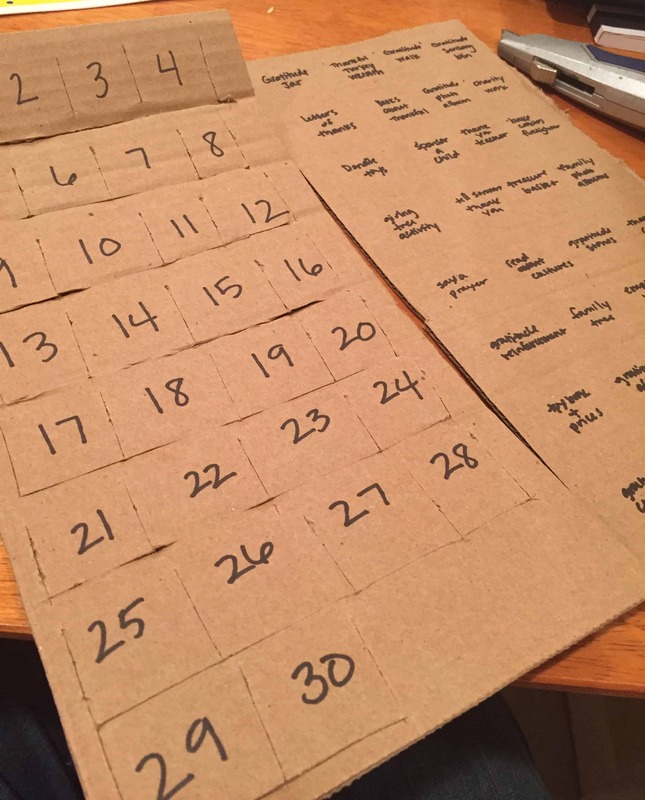 Last year for the Christmas season, we made an advent calendar with acts of kindness. Mack still talks about that often, asking if we can do ‘actus kindess’ again. I have a list of activities and prompts that we will follow each day to complete a task. My son loves surprises and unveiling toys right now, so to make this exciting for him, I am creating a gratitude board that he gets to open each day. As you can see, my board is incredibly basic. I raided the recycling bin and found two pieces of cardboard that I could match up together. 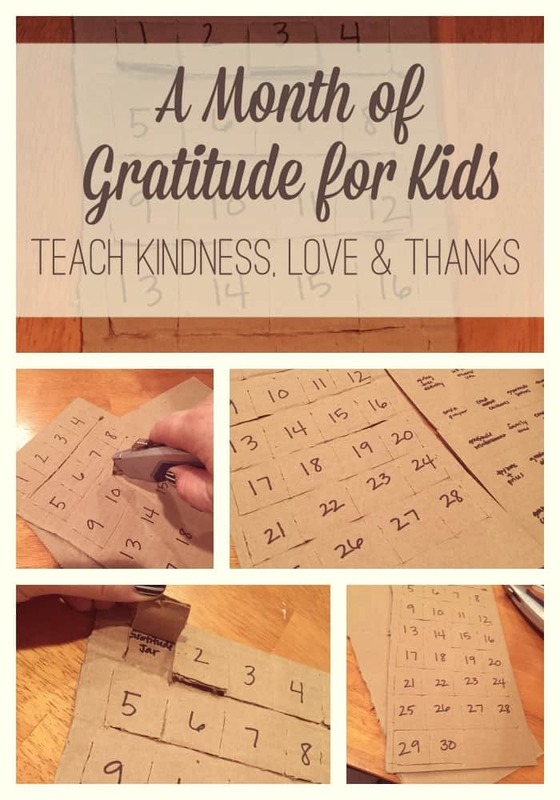 Using a box cutter and a sharpie, I numbered squares and cut little flaps (much like a lift the flap book) and wrote our gratitude activity on the piece underneath. With a little glue in between the two pieces, we had a simple DIY gratitude board. 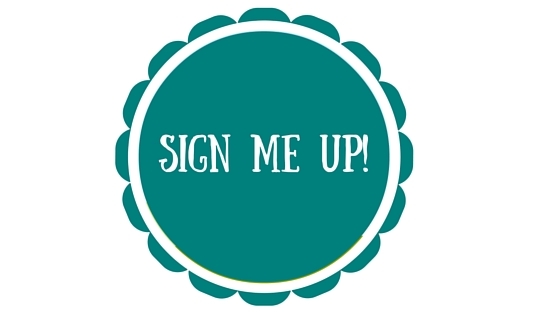 I will be blogging about some of the activities, so make sure to subscribe here or follow us on Facebook to see details about our activities. If I don’t get to full blog posts, I’ll be talking about our activities on Instagram and Periscope 🙂 I would love for you to join us! Use the hashtag #AMonthOfGratitude so that I can see how you are teaching gratitude to your little ones! So here they are, our 30 days of gratitude for kids! 1. Make a gratitude jar. 2. Create a thankful turkey wreath. 3. Go on a gratitude walk. 4. Make a gratitude sensory bin. 5. Write letters of thanks to community workers. 6. Read books about being thankful. 7. Make a gratitude photo album with disposable cameras. 8. Do some charity work. 9. Donate toys to a family in need. 10. Sponsor a child from another country. 11. Draw a thank you picture for teachers. 12. Bake cookies for firefighters. 13. The Giving Tree activity. 14. Tell someone thank you. 15. Collect your treasures in a basket and talk about why they are important to you. 16. Look through family photo albums. 17. Say a prayer for someone. 18. Read books about other cultures. 19. Make gratitude stones to keep at the dinner table. 20. Make a collage of what you are thankful for. 21. Make a gratitude reinforcement jar, add a marble to the jar when someone in the family shows gratitude. 22. Make a family tree and write one nice thing about each person. 23. Make erupting hearts, a visualization of overwhelming love. 24. Create potato stamp hearts for a gratitude garland. 25. Look through a toy booklet, add up the prices, and talk about the value of money. 26. Donate warm clothing to those in need. 27. Make a gratitude affirmation dice. 28. Write thank you letters to soldiers. 29. Build a graham cracker house. Discuss being thankful for a home. 30. Bake cupcakes for the dogs. Post this picture and follow along on Instagram using the #AMonthOfGratitude to share in the love. I will be featuring posts on my page. Do you have anything you would add to our list? How are you teaching gratitude? So many great ideas! I don’t know that I will make it though the whole list, but I will definitely be able to knock out quite a few!!! Thanks for the inspiration!! So much love for this post! 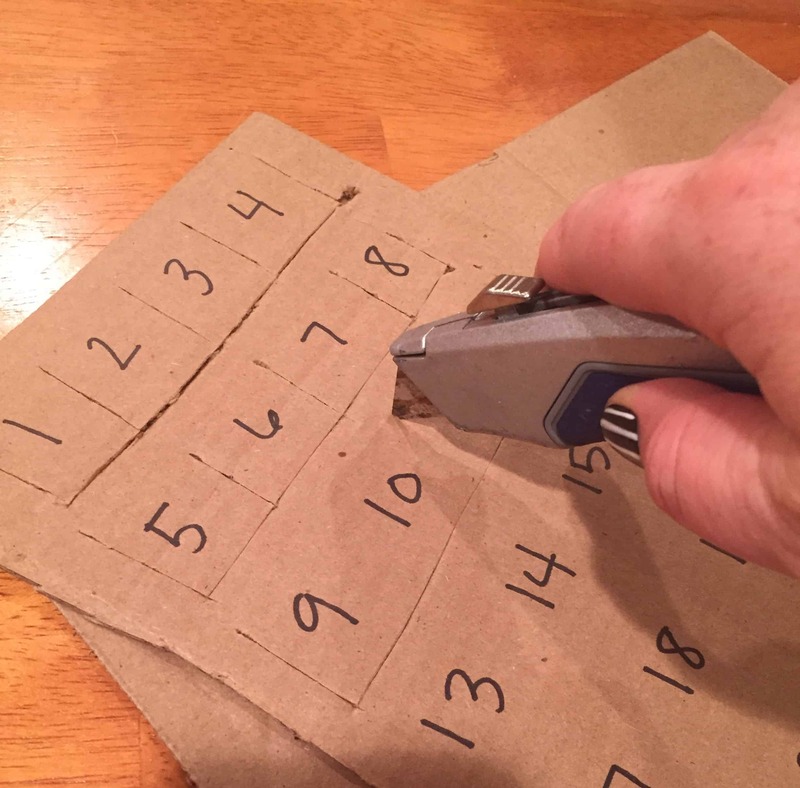 What a great idea to make an advent calendar out of it! And how creative that you came up with so many great ideas! Bravo! What a wonderful idea. Gratitude in the month of Thanksgiving, Perfect! Great minds think alike!!! I just finished making our family gratitude jar!!!! Wow! You have so many great ideas here. I really love your gratitude calendar. I am bookmarking so I can refer to this again and again! This is a great post! I just revamped an old post of mine that talks about teaching toddlers gratitude:) I love the calendar idea! Going to check yours out! What great ideas! 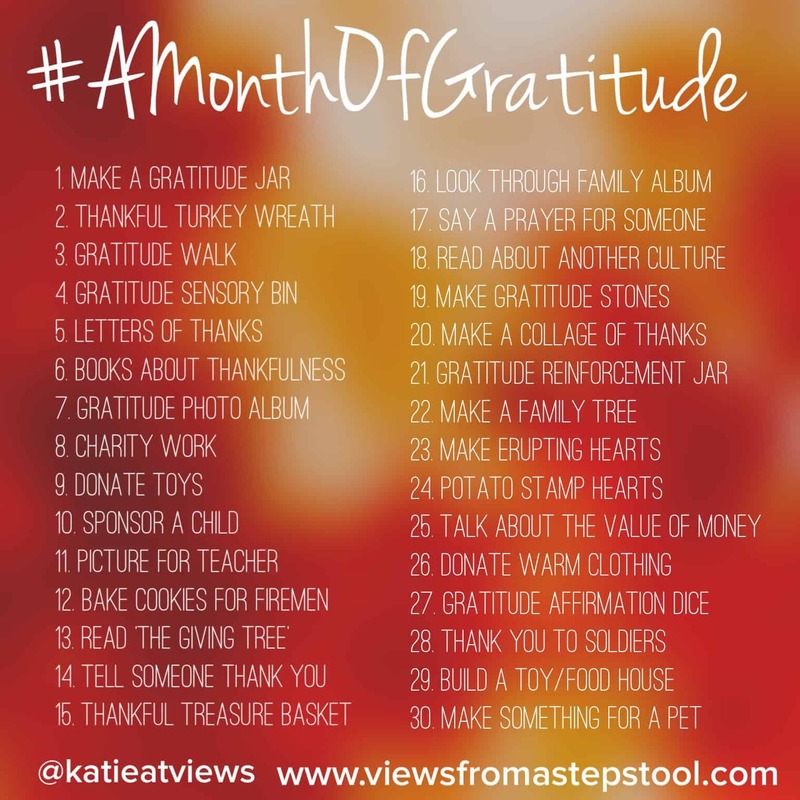 I love that there is a focus on gratitude through the whole month and not just the days directly around Thanksgiving! I’m sure these activities will make a difference for lots of families. 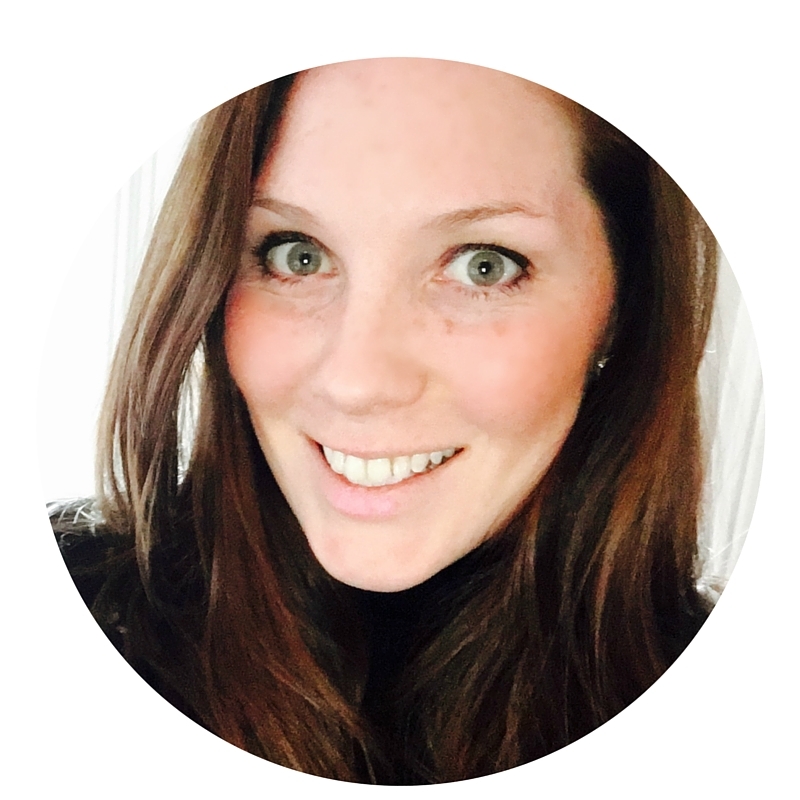 I fell in love with your idea when you talked about it on Periscope. It’s so great to get the kids involved and teach them about gratitude when they’re young. We’ve been working on it with my 4 year old a lot lately. Thanks for linking up! I love all thirty of these (hence me linking it in my post). I love the creativity behind the different ideas and how you made them open to interpretation too. I think we will do a gratitude sensory bin soon where we represent things we are thankful for in it.